One day in Paris someone takes a shot at the President of France from three-quarters of a mile away and damn near hits him, but a sheet of bullet-proof glass in front of the podium deflects the shot. Only a handful of people in the world could have made that shot, and probably only one American--a sniper named John Kott who was released from prison a year earlier after doing a fifteen-year stretch. The evidence suggests that this may have only been a practice round. The leaders of the G8 nations are about to hold a summit in London where they will all be exposed to a sniper who could hit from that range and so, needless to say, the international intelligence people are having apoplexy trying to identify and track down the sniper before he can take dead aim at one or more targets at the summit meeting. It's not clear that the sniper actually is John Kott; intelligence officials in a few other countries have identified potential suspects, but the bullet fired in Paris was American made, and, one by one, the international suspects tend to fall by the wayside, leaving Kott as the most likely suspect. So what in the hell do you do in a case like this if you're in the CIA or the State Department or whatever and you need to find and deter Kott ASAP? Well, naturally, you put a personal ad in the Army Times asking Jack Reacher to get in touch. 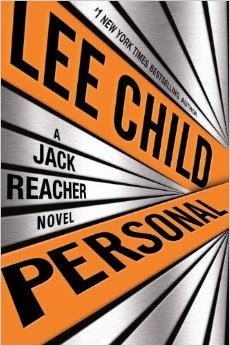 Then you hope that Reacher will find a copy of the paper lying around on whatever damned bus he's riding at the moment. 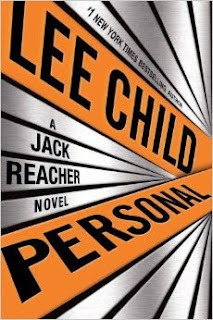 Happily, Reacher sees the ad and reports for duty. He was the guy who arrested Kott sixteen years early and the Powers That Be are hoping that Reacher can find him again. Naturally, if you are the PTB, you don't want Reacher wandering too far off the leash, though, and so they assign a young female analyst named Casey Nice to tag along and report on Reacher's activities. The hunt covers a lot of ground in the U.S., in France, and in Britain and, as always, it's great fun watching Reacher confound not only the bad guys but his handlers as well. It's a gripping tale, somewhat reminiscent of the excellent The Day of the Jackal, and it moves along at a very fast pace. All in all, it's an excellent choice for a summer read, or any other season for that matter.